Properly managing all Spotify playlist which are carefully crafted for every occasion is not easy. Sometimes you may accidently delete a song or entire list. Or if something goes wrong with your account or your computer, all the playlist that you have ordered in Spotify may be destroyed instantaneously, hardly recover. In order to avoid that kind of mishap, you may want to keep a backup copy of Spotify Playlist. 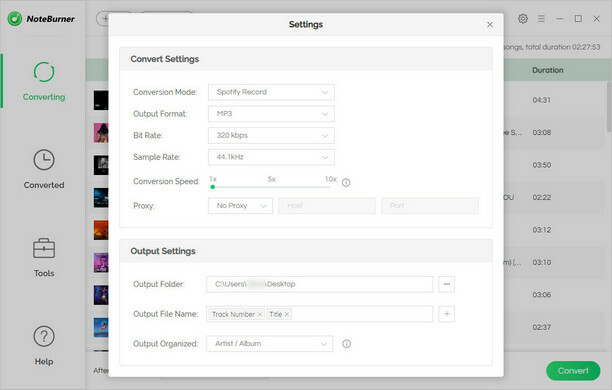 Here this post will walk you through of how to record and backup your Spotify playlist for safekeeping. Generally known, one of the atractive features of Spotify Premium is downloading Spotify music for playback offline. But same with Apple Music, Spotify also adds a powerful tool -- Digital Rights Management (DRM) into all of tracks to prevent users from getting access to their downloaded backup copy of Spotify music once cancelled subscription. 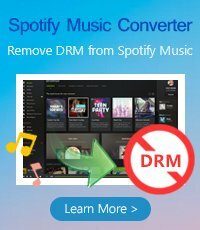 So to backup your Spotify playlist easily and keep the backup copy of Spotify music playable, the most important point is to remove DRM protection from them. Then an excellent Spotify Music DRM Removal tool is needed. 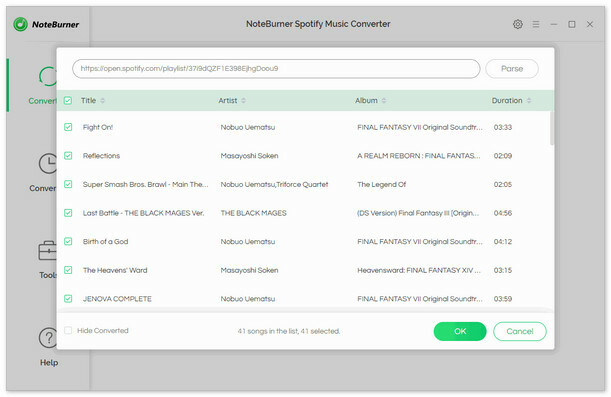 NoteBurner Spotify Music Converter is an all-in-one Spotify Music converter, which can help you remove DRM from Spotify music easily, download and convert them to MP3, AAC, FLAC or WAV with 100% original quality. The following is a detailed tutorial about how to record and back up your Spotify playlist. Please download this useful tool on your computer first before getting started. When finish customization, click "Convert" button to start downloading. 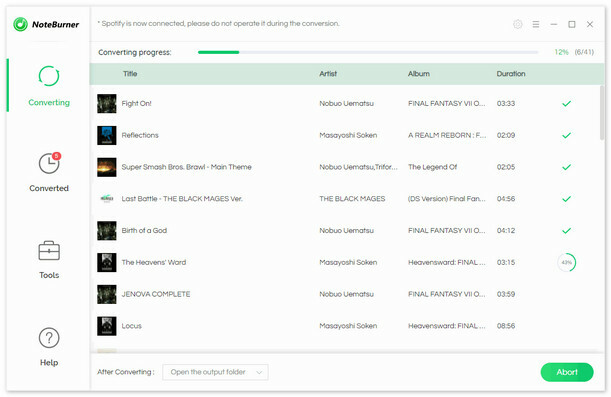 After downloading, you can get a DRM-free backup copy of Spotify music, and save them on any devices as you want, or share with your friend via email, burn to CD and so on.